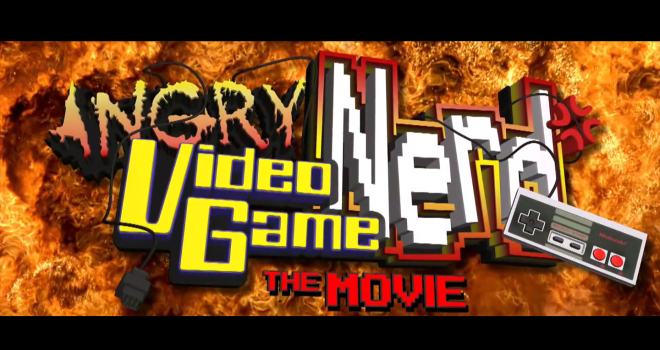 The long awaited independent film based on the hit web series The Angry Video Game Nerd (AVGN) is now available to rent or buy on Vimeo. For those who may not know, AVGN is a show that features an angry gamer playing retro games and making very frustrated reviews about them. It stars independent film maker, James Rolfe, and started on the internet back in 2004. The series is very funny and full of creative curse words and hilarity. Rolfe is a pioneer for video game content creators on the internet because of this role. If you’re a gamer and you’re unfamiliar with AVGN, you should check his videos out at cinemassacre.com. It’s a vulgar show, so keep that in mind. For years Rolfe has been working on a feature film centered around the nerd character and even raised over $300,000 in his Inidiegogo campaign. After grueling hours of hard work, much anticipation from fans, and sold out theatrical premiers, the movie is available to everyone at last. The film centers around the nerd as he faces his fear of reviewing the worst game ever, E.T. for Atari 2600, and discovers the mystery of the buried cartridges. The movie can be rented for $4.99 or bought for $9.99 here. Check it out and support a fellow gamer, independent artist, and staple in the gaming community.